Sure, next years Christmas lighting season is a ways off, considering it’s December right now…but do you even think about Christmas lights any other time of the year? I’m gonna take a guess that most of you lovely people out there do not think about Christmas lights any time of the year other than the last two months, November and December. Amirite?? But with so much else going on around this time of the year…what does it even matter? You can see your Christmas lights right now, you remember how difficult (or easy) it was to put your Christmas lights and decorations up and to take them down, you can visually see what your Christmas decorations are missing (like garland or other greenery) or what there could be less of. It’s all fresh in your mind, and your eyes. You know what you would do different if you could do it again, you know that you spent too much time putting them up, you know that your life could have been easier if you hired a professional to hang your Christmas lights. RIGHT NOW, is the perfect time to decide what you liked about your Christmas lights, and what you would do different. Next November you’re not going to remember these things, so put a note in your phone or in your calendar to remind you next year. You might catch some really great deals on Christmas decorations starting early in the season, say October to Early November, but typically prices for Christmas decorations stay steady or slightly increase the closer to Christmas you get. After Christmas can be a different story though. After Christmas, end of December through January, there are usually a ton of sales and sometimes you can score big discounts on Christmas lights and decorations after the holiday. 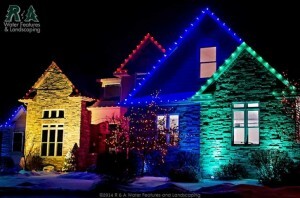 Which, again, Christmas lights and decorations are fresh in your mind right now, so knowing what you would change for next year’s Christmas lights, might end up saving you big if you find the big deals now. For those businesses that decorate for Christmas, you should know exactly what you would change, if anything, come next year. And if you used a holiday decorating service, you know how satisfied (or not satisfied) you were with the service provided. You also know the earlier, the better. 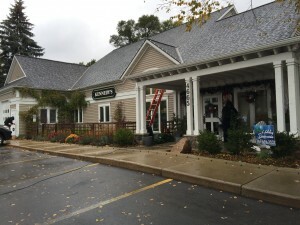 So finding (or rehiring) a company to hang Christmas lights is better done before October, especially if you’re business is looking for unique and custom holiday lighting decorations. 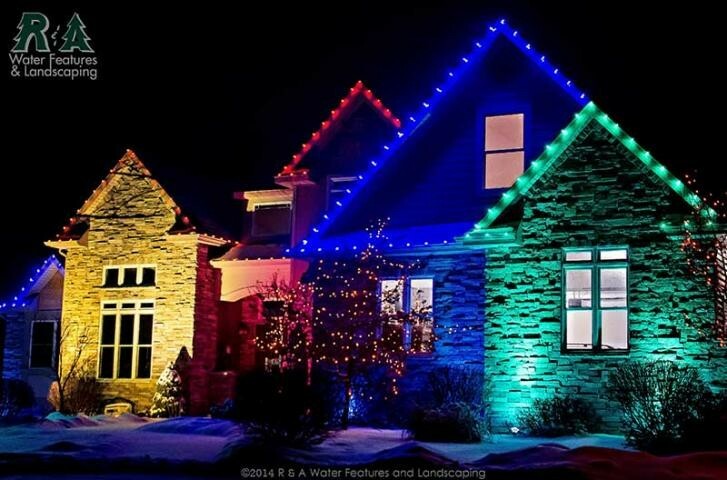 Remember, just because you get your Christmas lights put up in October…doesn’t mean they need to be turned on! Did you hire a company to professionally hang your Christmas lights this year, but you weren’t satisfied? Consider contacting us to see how we can offer you a better experience. Be sure to follow us on Pinterest and Facebook for some great ideas as well as some recent projects, and subscribe to our newsletter to get all the latest ideas, tips, and inspiration from your outdoor living experts; R&A Water Features & Landscaping.